So, why do we keep these routers on? For you, perhaps it's the convenience of knowing you can connect to the internet whenever you’d like. It eliminates the step of having to head over to the device itself to turn on that all-important switch – giving you ultimate flexibility whenever you want to check out what’s on Netflix (or catch up on work, if you’re a little less lucky). But have you ever thought about whether your Wi-Fi router is running up the cost of your power plans? After all, it is connected to the main power supply 24/7 – and could be using more energy than you first thought. If the very thought of this rings alarm bells in your mind, it might be time to look at the appliances that use energy, compare the costs, and potentially save big. That’s right, you can do a power comparison in your own home. It’s a great first step before looking at different utility providers. First things first: How much energy does a Wi-Fi router actually use? This can only be calculated if you know what the wattage of your network router is. Yours could consume anything from 2 to 20 watts, although the average is around 6. Taking a standard rate of 21.63 cents per kilowatt hour, you can therefore expect your Wi-Fi router to cost around $0.0311 per day to operate. Over the course of a year, it'll cost you somewhere in the region of $11 – that's 95 cents per month. Not a great deal, but something to consider – especially if you want to make sure you’re getting the best electricity rates from your new or existing electricity plan – or if you’re simply taking note of your energy rates. So, is it worth switching your Wi-Fi router off? This all depends on how keen you are on saving in terms of your energy rates, and whether you’re actively checking out comparative electricity prices. If you're tracking every last cent you spend and are looking at doing an energy comparison, then by all means switch off your Wi-Fi router when it's not in use and take note of any differences you see. While they may be slight, they all add up. It might also be worth doing this if you don't regularly use the internet. If you find yourself logging on just once a day to quickly check emails, then turning off your Wi-Fi router could be in your best interest. 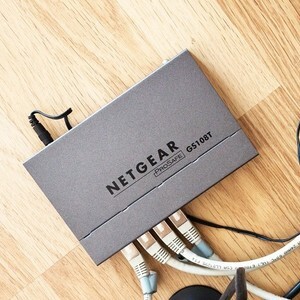 However, if you've got various devices hooked up to the Wi-Fi – smartphones, tablets, TV sets – then switching off the router might not be the best option. You’re going to need it, after all! Going on holiday? This is the ideal time to switch it off at the mains. Every little bit helps. Which appliances should I switch off for the biggest impact on my energy rates? If you're serious and want to compare electricity rates between when you do and don’t use your appliances, good for you. You’re on the right track to saving money, with little effort. Everything from your widescreen TV to your microwave can rack up your bills unless you turn then off completely. Switching these off where possible can really help you compare electricity prices. Avoid standby mode wherever possible when making electricity comparisons and energy comparisons. While this might make it quicker and easier to switch on your TV, it's probably not worth it when you consider how big an impact it'll have on your energy rates. You'll need to keep an eye on your games consoles, too. A report from the Natural Resources Defense Council shed light on just how much energy they're consuming. It found the newest consoles on the market consume more energy each year playing video or in standby mode than they do while games are played. It’s worth taking into consideration when looking at your electricity use, and even your electricity plan. In fact, almost half of the Xbox One's annual energy consumption takes place while it's in standby mode. Can you believe it? In this case, making the trip over to the switch could be just what you need to bring down your bills. Set-top boxes are also big offenders in the energy consumption stakes, while notebook computers and printers can also increase your bills if left in standby mode. And finally, when looking at new appliances, it's also a good idea to only buy the most efficient appliances you can find. These will prove to be the most cost-effective in the long run. This means you won’t have to worry about whether to switch them off, keep them in standby – or worse, replace them! Go in search of those with the highest star rating – and an Energy Star accreditation is also well worth a look. Still less-than-impressed with the figures you’re seeing after switching off? It might be time to switch providers and make the ultimate power comparison. Make it Cheaper can compare power and gas providers across Australia. We do all the work for you, so you don’t have to worry about which energy retailers are giving you the best energy deal.